From the beginning of the project in October 2016, all consortium partners have devoted significant efforts to disseminate the objectives and potential impacts of MoTriColor. 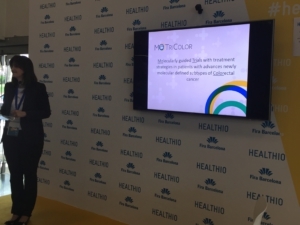 During the last 18 months MoTriColor has been presented in 34 conferences events including ESMO, ASCO, and AACR (among others). In addition, the project has been mentioned in the acknowledgments of 12 scientific publications, including one Cancer Cell.